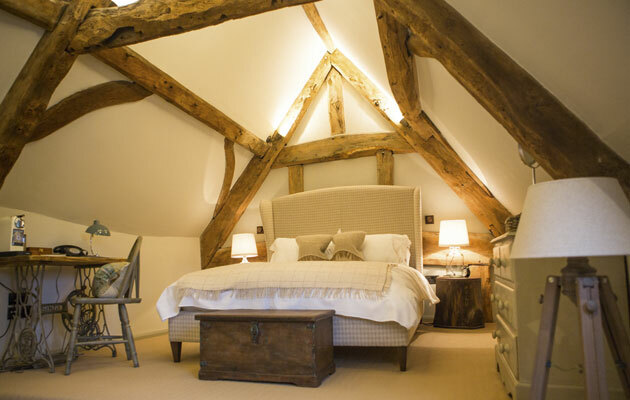 The Porch House Hotel in Stow-on-the-Wold is a beautiful hotel in an equally beautiful place. There is something for every palate on the menu at the Porch House Hotel. 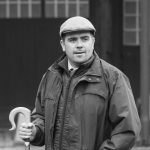 Having only really ventured into the Cotswolds during the school holidays, I was looking forward to tranquillity as we passed through the likes of Ettington, Shipston-on-Stour and Moreton-in-Marsh on our way to Stow-on-the-Wold. The drive along the hazy, tree-lined country roads between these stone market towns is an idyllic route. We arrived in good time to find Stow lit in the afternoon glow of an Indian summer, its locals passing the time on street corners or giving directions to foreign tourists glad to be lost in this famous pocket of England. 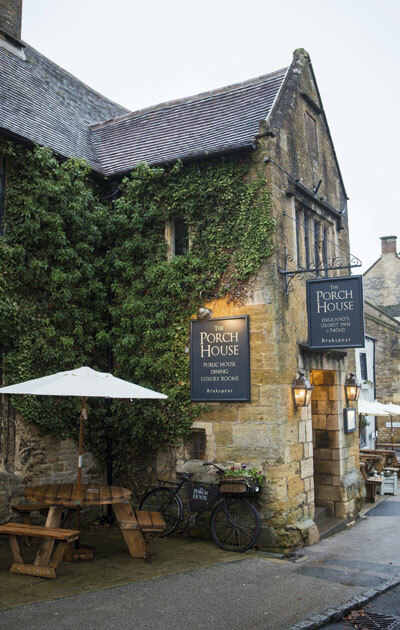 The enchanting entrance of the Porch House Hotel in Stow-on-the-Wold is typical of the area’s character. Once I had checked in and taken our bags through narrow-ish corridors towards our room (No.8), we were able to get out and explore the area. I’d urge any visitor to the Porch House Hotel (or Stow for that matter) to spend an hour or two wandering around the independent retailers that call this town home. Back at the hotel, our room was a stylish blend of old and new; crocked wall beams and bloated bright white walls were comfortably at home with the modern bed, woollen scatter cushions and a small chaise longue set below a wall-mounted television – those who prefer to wallow when they wash should certainly take a dip in the roll-top bath. In the evening we ate in the softly-lit dining room – there are several rooms to take your food in – and the various dishes more than filled a hole, not least a pigeon starter I found to be better than most I have tried, probably because this underrated meat wasn’t drowning in fancy jus or foam. The menu is neither uppity nor cynical and there wasn’t a single thing I wouldn’t have had the confidence to try. The hotel rooms are a perfect blend of old and new. The Indian summer threatened to make our night’s sleep an uncomfortable chore, so I doff my hat to whomever placed the fan in our room; it not only kept us cool but also muffled the sound of the night owls and vehicles passing by. Eggs Benedict has a new fan thanks to the extensive breakfast menu, but I had to watch on with envious eyes as dripping honeycombs were placed on a table nearby after I’d insisted I was done. More fool me.